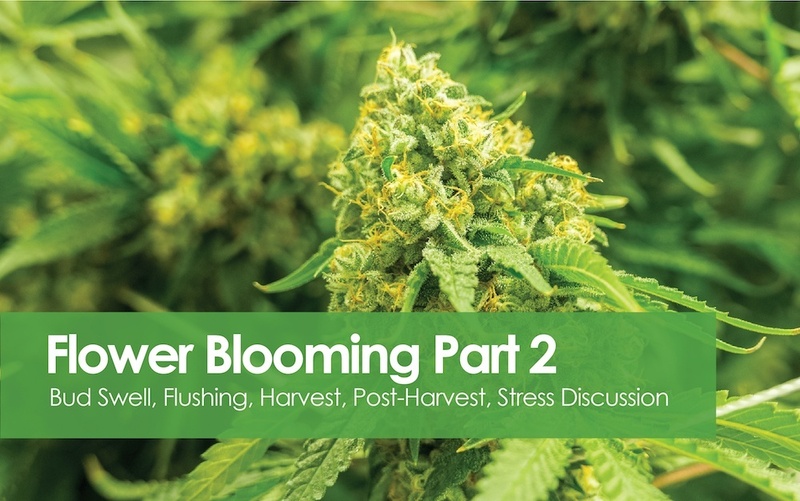 Karl Kulik returns to continue his blooming tutorial, "Bud Swell to Post-Harvest," the latest in AEssenseGrows' series of free webinars. Karl will tackle such questions as, "When does your plant need more phosphorous and potassium?" and "What is the purpose of flushing and what benefit does it give your plants?" He will take you through the finish of getting your blooms ready for show. The webinar is slated for 10 a.m. Pacific on Oct. 10. If you missed Part 1 of Karl's webinar on flower blooming, you can watch it on demand here. You can find the full library of webinars here, as well as learn about upcoming ones. While AEssenseGrows’ expertise is in precision automated aeroponics, many of the webinars are relevant to anyone involved in indoor growing. If you have any suggestions for webinar topics, feel free to send them to dsolov@AEssenseGrows.com.